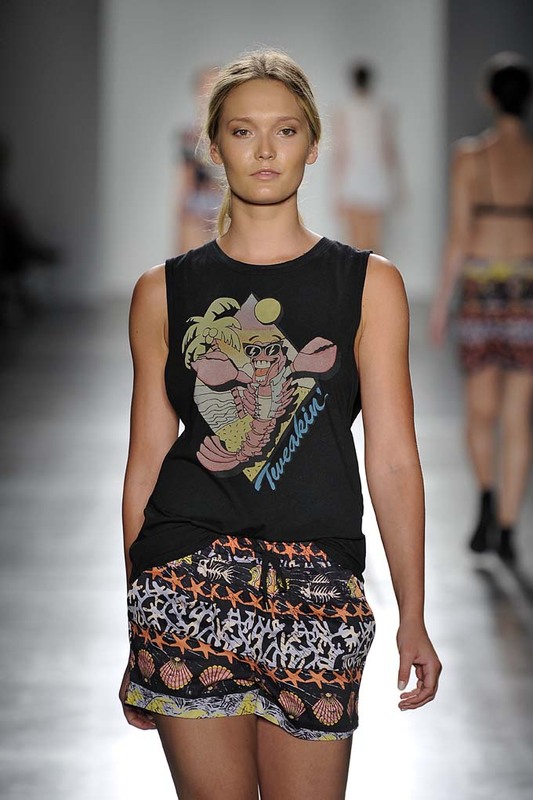 Aussie cult style fashion designer Emma Mulholland debuted her collaboration with surf label Mambo at Fashion Palette New York. Wearable and styled in true Emma Mulholland style, it was refreshing to see a new direction for a much-loved beachwear brand Mambo. "Godesses" strutted down the catwalk in cool prints and bright colours, making it easy to fall in love with this coveted collection. A highlight of the group show, this vibrant runway saw zip-up swimsuits and silky bomber jackets for that perfect mix of street edge and swim cool. What a way to celebrate Mambo's 30th anniversary!